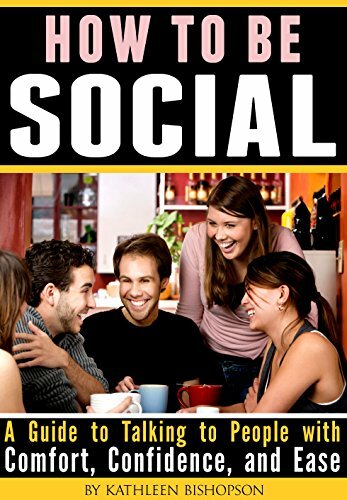 If you’d like to vastly improve your Socialization skills, and break out of your shy or introverted shell so that you can instead talk to people easily, comfortably, and confidently, then this book is for you! Life is too short to spend it lonely and miserable. Rather it should be enjoyed and lived fully, which includes meeting new people and making friends. You see, your destiny in life is too BIG for you to achieve it alone. You need the support of other people and you need to offer your support to others too. Sadly, you can’t do any of this if your only companion is your Smartphone. Confidence and good Social Skills can win you jobs, more friends, and even lovers (if that’s what you’re looking for). Believe me, when you have a good social life, you will get plenty of self-confidence and assurance back. You can be more assertive, more confident, and people will respect you tremendously. The first step towards a solution is to admit to yourself that indeed, you do need to get out there more often, make more friends, meet new people, and so on. This eBook will help you realize all these goals.